Not many days now before Sale-a-bration will be over for another year. 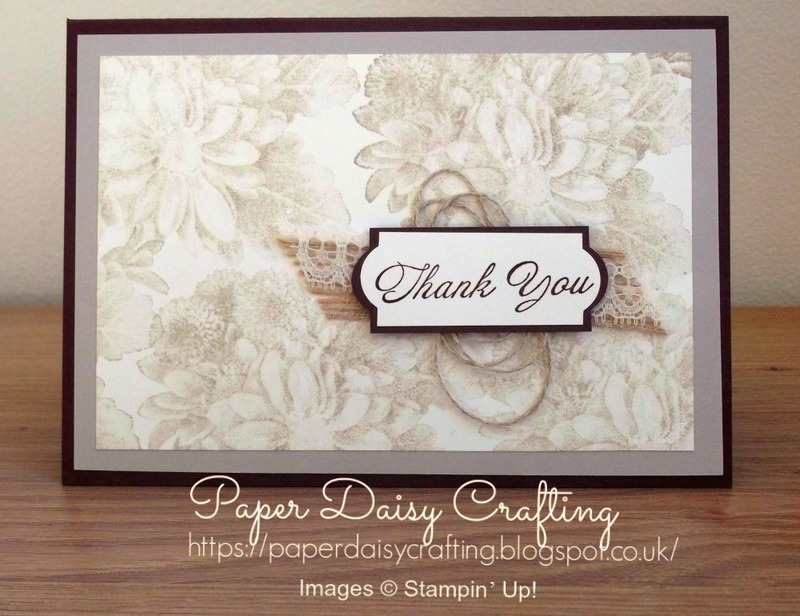 Today's card features another stampset which is available FREE with any order of £45. It is called Heartfelt Blooms. 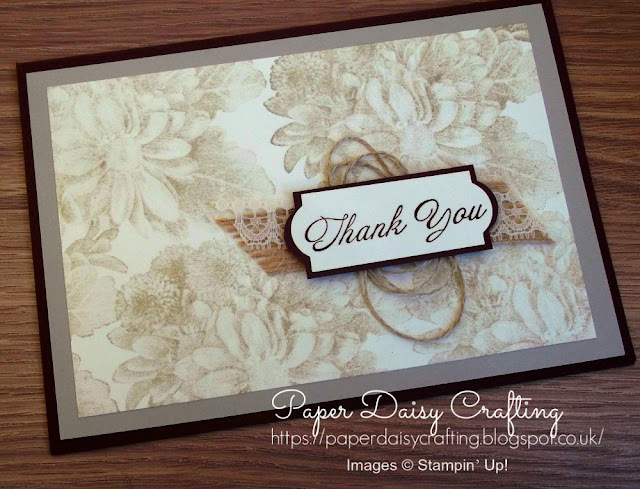 I have to admit that this stamp set did not call to me when I first saw it but since then I have seen so many fabulous cards and projects made with it. This example was given to me by one of my lovely team mates, Liz Yuille, as a thank you for me helping her out with some supplies. I love the effect that Liz has achieved here - very vintage style and the colours she has chosen gives it a kind of sepia photograph look. Lovely eh?